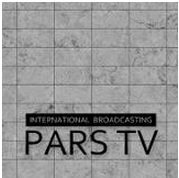 News TV Channel / Pars TV is a Iranian human rights channel broadcasting from the US. The aim is to raise human rights awareness in Iran; along with promoting the principles of democracy and a modern progressive state. Pars TV is a US based satellite TV channel and was founded in 1987. Its main focus is based on informing, knowledge, freedom and human rights, and to promote the institutionalization of democracy and the realization of human rights.